DALLAS—Jeff Gusky is an emergency physician and National Geographic photographer. 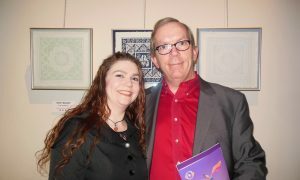 He is also a TV host and producer, author of three books, and a professional speaker. His life changed when he uncovered an “obscure remnant of a Nazi concentration camp.” Since then he has looked for hope for people in times of terror and why terrorism continues. 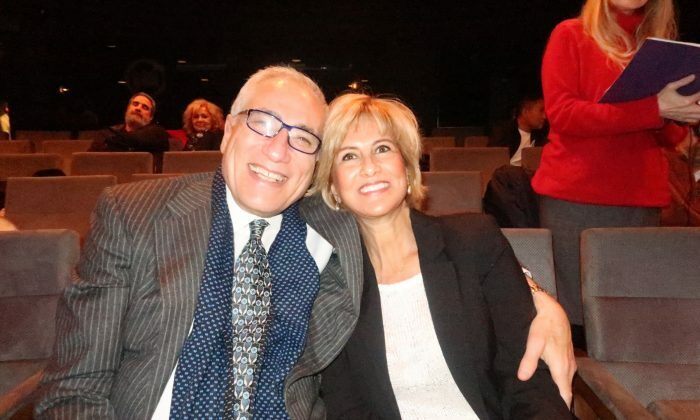 He and his companion went to see Shen Yun Performing Arts at the Dallas AT&T Performing Arts Center–Winspear Opera House on Jan. 12, in Dallas, Texas. 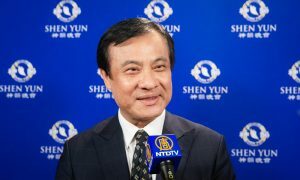 “It [Shen Yun] is giving me an insight to the artistic sensibilities of the Chinese and of the mainland, and so I’m learning a lot,” he said. 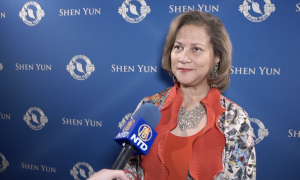 New York-based Shen Yun’s mission is to revive the traditional Chinese culture, almost lost in modern times in a country that has had it’s traditional values and identity destroyed by the communist party. The Chinese Communist Party (CCP) seized power in China in 1949 and attacked the 5,000-year culture though campaigns like the Cultural Revolution, purging intellectuals, historians, educators, and the spiritual, while destroying Chinese religious and historic artifacts. The classical Chinese dance company travels the world with this almost-lost culture and gives it expression, liberating it in each theater they visit to be comprehended and felt by modern audiences. This season, six touring groups travel simultaneously to revive the lost culture. For those familiar with China today, Shen Yun may be a surprise. Audience members will not see red flags and homages to communism; they will see values like loyalty, devotion, kindness, hope, and courage. They will see dynasties come to life before them and they will see the repressed spirituality and 5,000-year-old culture of the Chinese people, involving sages, warriors, emperors, magical beings, and reverence to a Creator. Shen Yun performs stories that take place throughout China’s history, including several set in China today. The political persecution that many people face in China is not something that the communist party in China wants people to see or know, which is why they don’t allow journalists to enter China and report freely, unless the reports can be shaped by the CCP. 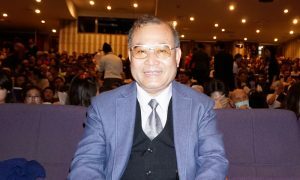 In China, speech is heavily monitored and speaking openly about CCP has led to many arrests in China. 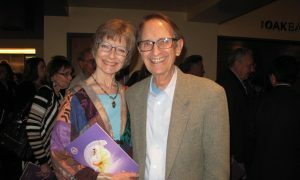 Gusky said that he was surprised about how open Shen Yun was about dissent in China under communism and its persecutions against people there. To expose what is happening in China is a risk. 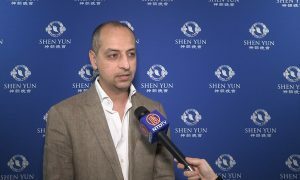 Shen Yun performers are not likely to be able to safely enter China, as long as the CCP is in power. “Also, I get a sense of the vision of modern Chinese incorporating their ancient past and their contemporary future,” said Gusky, whose work also explores how the speed of modernization has cut people from our moral core. Gusky’s favorite piece was “Restaurant Cheer,” a dance which shows waiters finding joy in excellent service. As part of their spirited antics they spin and throw napkins in the presence of a grumpy boss. “I thought that was very animated and full of life and emotion,” said Gusky. Gusky said he felt absorbed by the performances. 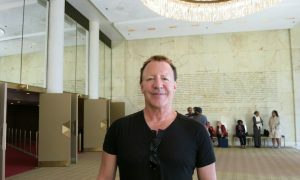 When asked if seeing Shen Yun will inspire his future work, Gusky said he thinks so. “I’m getting a sense of some of the cultural tensions that underlie a nation that has undergone rapid modernization like you can’t imagine,” he said. “and trying to hold on to an ancient past and embrace the future of incomprehensible scale of cities. How that culture adapts into the modern age where so much is dehumanized and wipes out the past. That’s what is going on in my thoughts. With reporting by Diane Gao and Carrie Gilkison.